Muddasir, a brilliant left hand batsman and a wicket keeper from Turbat, plays cricket with a great interest. Two years ago Muddasir was selected in U-16 cricket player in Turbat and his next trails were in Quetta. He went and performed greatly and was selected for U-16 cricket team of Quetta. 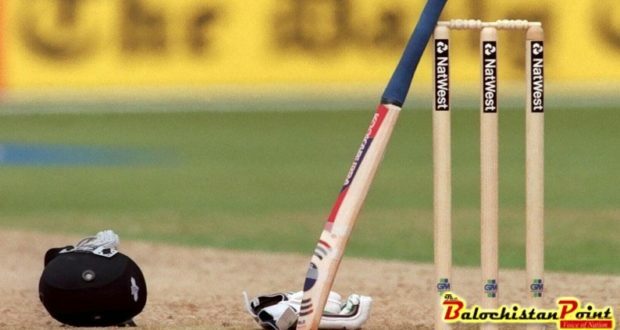 He scored more than 210 runs in overall series and became the top scorer, but neither he was awarded by the government, nor selected for tour of other countries, while many players who were selected with him were awarded and sent for tours. Another brilliant cricket player and the former captain of Young Baloch Cricket Club Singanisar Turbat (YBCCST) says that he had hope for playing in national cricket team while he was reading in class 8th. “At that age I started my cricket career and tried my level best that I should be the part of national team. 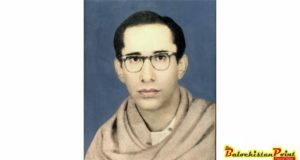 I did my B.A form Atta Shad Degree College Turbat, and left higher education, focused on playing cricket and played in several places of Pakistan, however, remained one of the neglected cricket players of Turbat,” he added. These are only two examples of young sportsmen but there are many instances of players who have not been selected in national team after scarifying their educational career. Many players in Turbat have been performing very well for the sake of getting chances in national team, while many of them stopped their educational lives. Besides this, everyplace in Pakistan has brilliant cricket grounds and funded by the government for taking out the talents of cricket players who would get chances to perform or play in national team. Unfortunately, Turbat lacks any good grassy cricket ground for playing, beside only one where they cannot play because of big grasses which always stop the balls for going in boundaries. Turbat is the most neglected city of Pakistan in regard of sports. One side the players are wasting their time because of the impossible hopes of theirs for being selected in national cricket team and secondary they always try to find clean places where they could not get injured after playing, but the grounds have been snatched by the owner of those places. It is the duty of government to provide full facilities to every city for playing. I myself used to play in a team where Muddasir plays, and I have seen many players in the team in which I was playing where they were jobless and working in garages and shops. There are many poor players who have been playing for many years but they still wait to be selected in international or national team, even they are not called for playing out of Turbat due to no attentions of government on them. Finally, the all cricketers are still hope that they would play in national team, their commitment is not being focused by the Pakistan Cricket Board (PCB). Every time the selection of other provinces players shows that Turbat and overall Balochistan is always being kept backward.